Victory: All charges dropped against 18 Minnesota immigrant rights protesters arrested May 22 | Fight Back! Minneapolis, MN - Fight Back News Service is distributing the following Sept. 7 statement that was released by the Minnesota Immigrant Rights Action Committee (MIRAC) and the Minnesota Poor People’s Campaign announcing that all charges have been dropped against the 18 activists arrested protesting deportations on May 22. 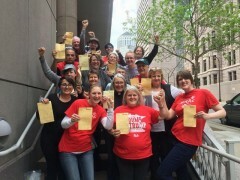 A People's Victory: Charges Dropped! #ICEbreakers18 Continue to Demand Justice! In a victory for the movement for immigrant rights and social justice, the Hennepin County Prosecutor’s office has dismissed both misdemeanor charges against the 18 activists arrested on May 22, 2018 while shutting down business as usual at the building that houses the five-state ICE headquarters. 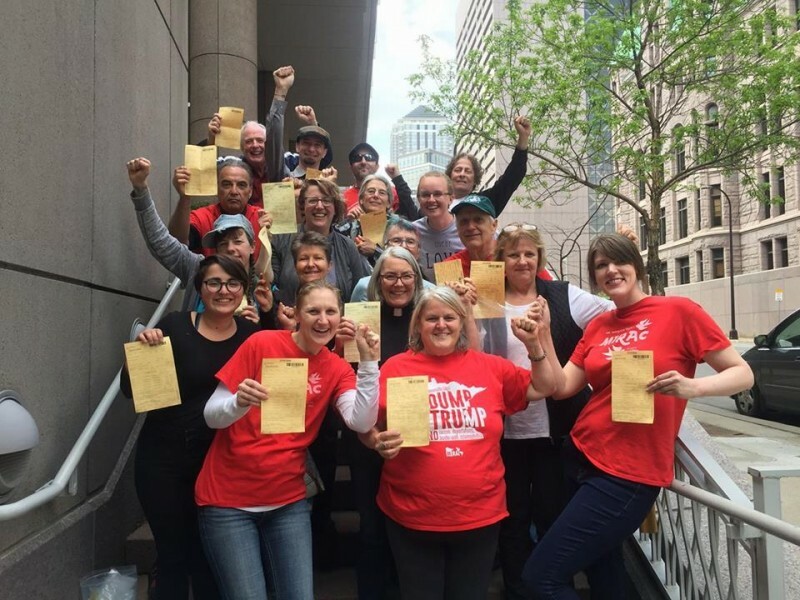 The Minnesota Immigrant Rights Action Committee (MIRAC) and the Minnesota Poor People’s Campaign extend our thanks to all those who made phone calls to Hennepin County Prosecutor Mike Freeman to demand our charges be dismissed. Your public support and efforts in this electoral period helped successfully pressure Mike Freeman to take the right action. We strongly maintain that the actions we took that led to our arrest were necessary and just. We will continue to oppose ICE and any of the immoral actions of the US government. * ICE out of Hennepin County! * Justice for Immigrants in Hennepin County Courts!